If you want to proudly show off your child in a unique way, run over to Ode Gifts immediately! Ode Gifts is run by a friend of a friend , Brooke. 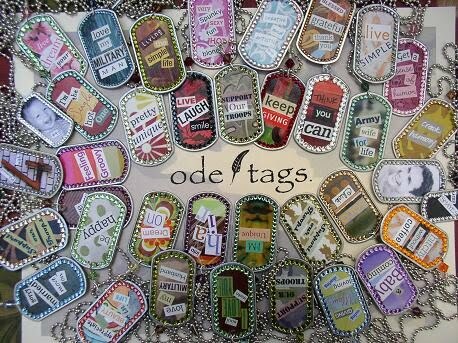 She can make you your own customized Ode Tag for any occasion, and with Mother's Day coming up...well, it just makes sense to get an Ode Tag so you can represent!